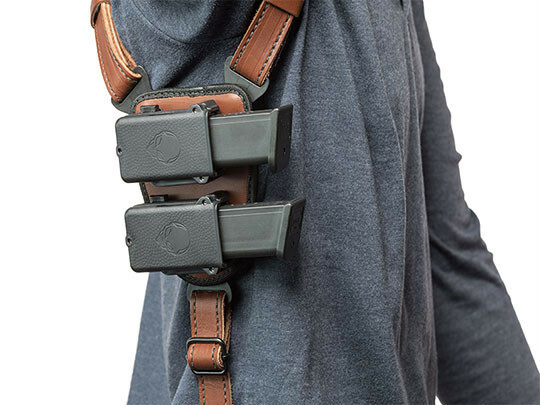 Concealing and carrying but don't want to clutter up the waist? 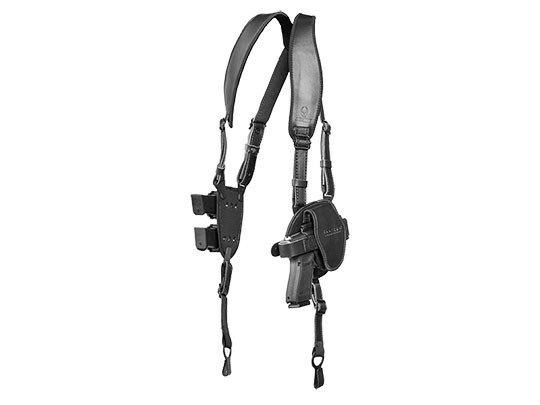 The ShapeShift Taurus PT709 Slim Shoulder Holster will carry comfortably and conceal easily. 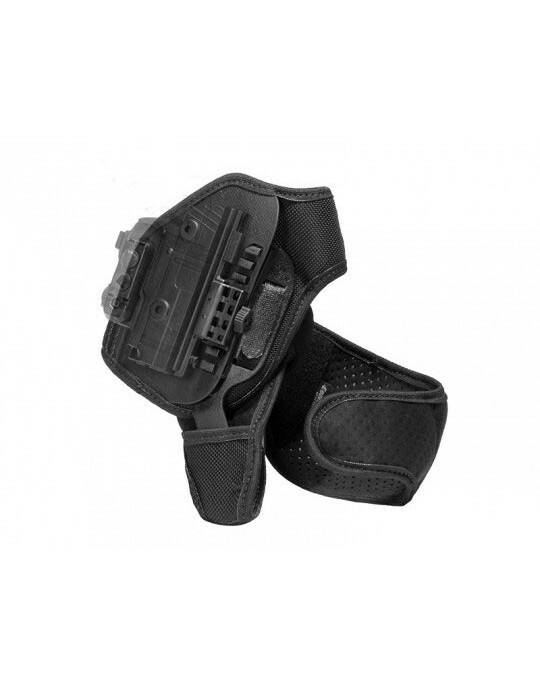 This holster has been designed to overcome the typical limitations of shoulder holsters and you will feel the difference. 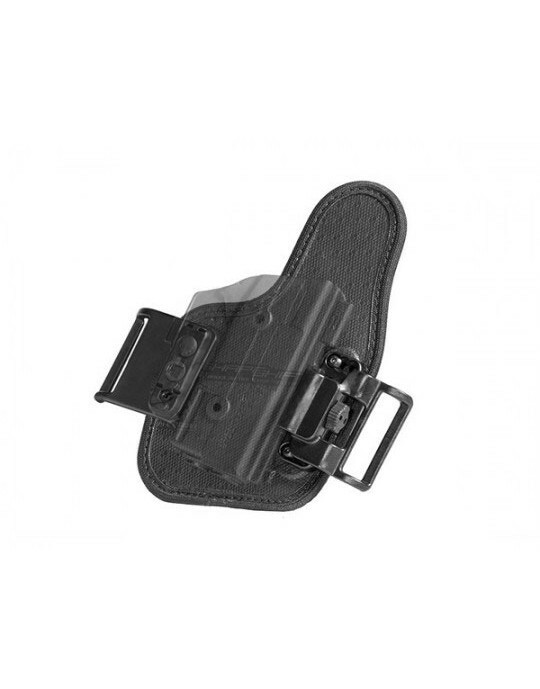 The straps of this leather shoulder holster for Taurus PT709 Slim pistols are padded with CoolVent neoprene, a ventilated neoprene fabric that cushions while wicking away sweat and moisture. The straps articulate, as they are joined by a clover harness. 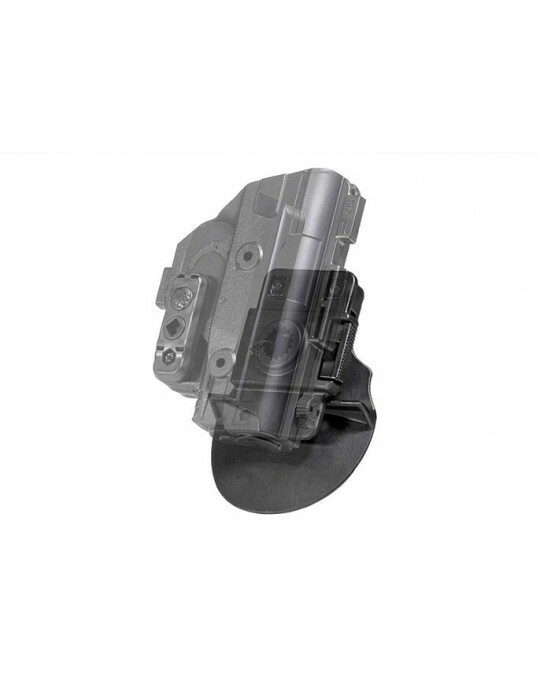 This allows them to find a natural resting place on the body and thus carry more comfortably. 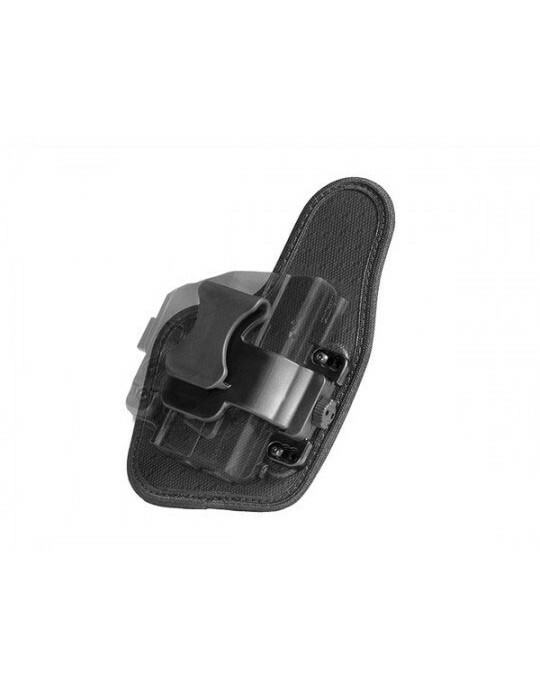 The holster base pad and magazine carrier base pad are also lined with CoolVent for greater comfort. 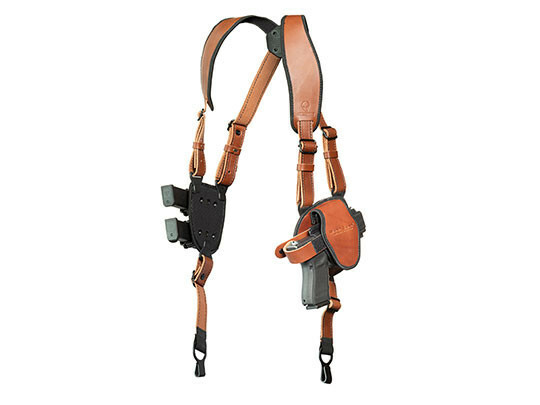 No need to worry about whether this shoulder holster for Taurus PT709 Slim pistols will fit correctly. 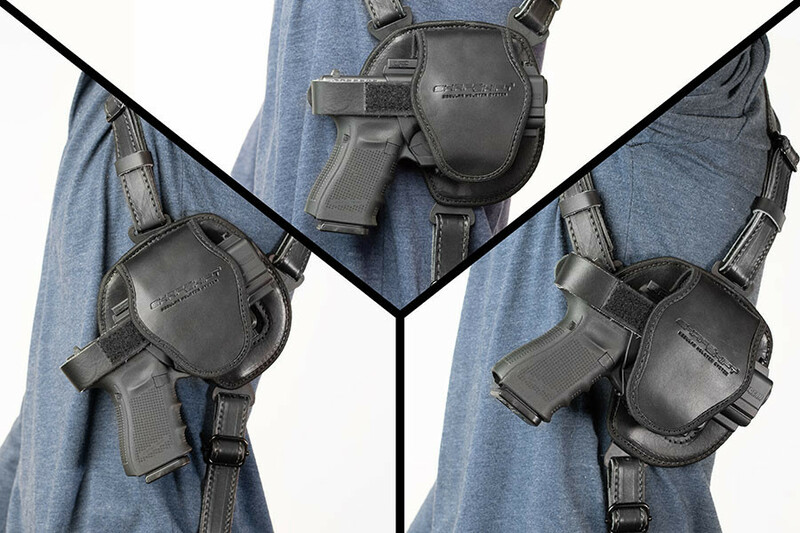 Unlike one size doesn't really fit anyone worth a darn holsters out there, ours has several inches of adjustment built in, allowing you to find the perfect setting for you. 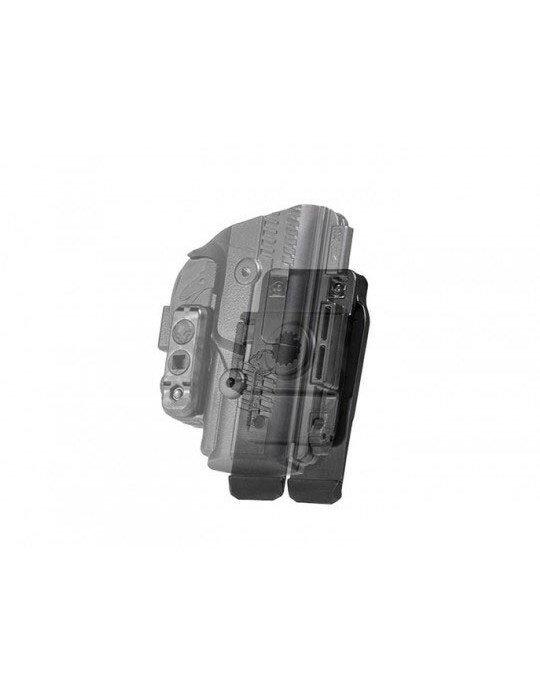 Cant angle and ride height are also customizable, so you can find the perfect carry position. 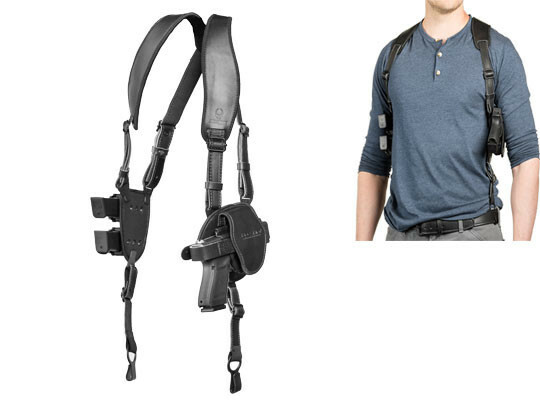 You can carry your gun high, tight and horizontal or drop it lower toward the belt and carry as a Taurus PT709 Slim vertical shoulder holster. The straps also come with belt hooks. The pulls the gun tighter to the body, aiding concealment, and giving you better weight distribution. 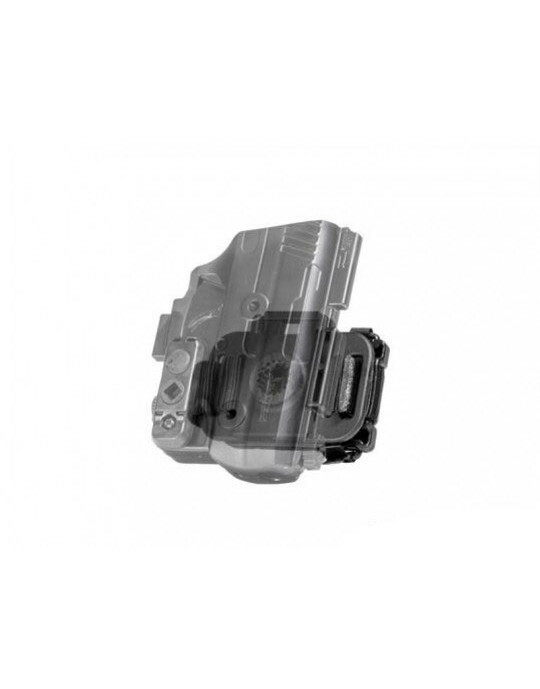 The holster itself is the ShapeShift holster shell, custom-molded for the PT709 Slim for a perfect fit. The trigger guard is fully wrapped for greater security, and passive retention can be adjusted until you find the perfect setting. 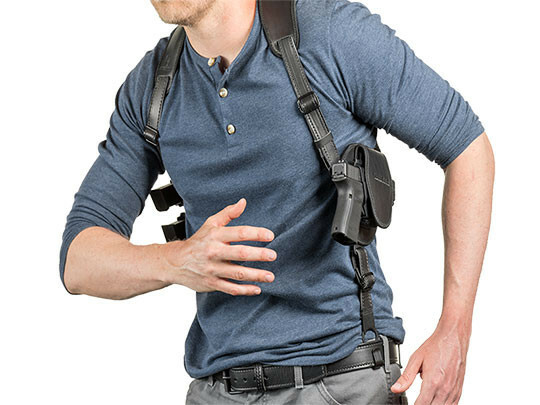 The ShapeShift Shoulder Holster also features a removable thumb break in case you wish to carry with an active retention device...or don't. You also get Alien Gear Holsters' Iron-Clad Guarantee, including a 30 Day Test Drive and Forever Warranty. You can send it back for a full refund in the first 30 days you own it, and can expect that we will repair any issue or send you a new holster as long as you own it.